Sprint is trying to attract new customers with a new option that promises an “iPhone for Life.” The plans are similar to what you’ll find on other carriers offering guaranteed upgrade; the carrier advertises it more as a “lease” of your phone, since you’ll need to trade it back in after two years to get your upgrade. That is on a par with what other carriers require for their guaranteed upgrade programs. 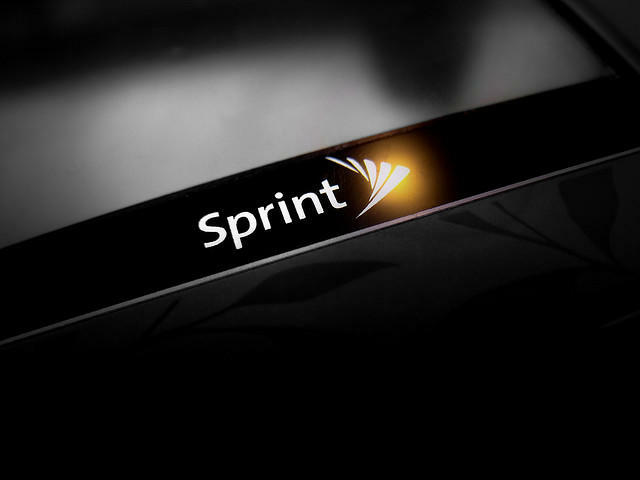 Under Sprint’s plan, you can choose to pay nothing up front for your iPhone and then pay $20 each month during a two-year agreement in addition to a $50 fee for the carrier’s unlimited plan. 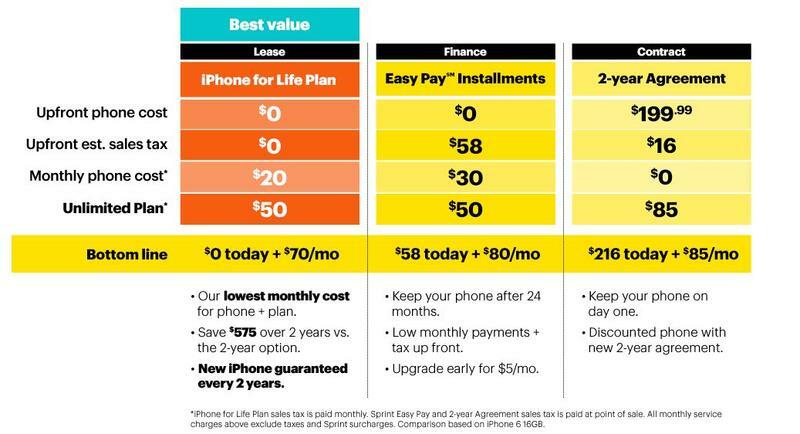 If you choose that option, Sprint will upgrade you to the newest iPhone every two years. Meanwhile, if you’re like us and prefer to sell your device (iPhones typically have great resale values if kept in good condition), Sprint has a financing plan available, too. Under that, you’ll pay $0 down, $58 in taxes up front, $30 each month and $50 per month for an unlimited plan. After two years is up, you’ll be able to keep your phone, or sell it, and upgrade at your own will. Finally, there’s the standard $199.99 starting price with new two-year agreement. You’ll pay $16 up front in taxes, $0 each month for the phone since it’s already subsidized in the $85 monthly unlimited plan. The phone is yours to keep day one, but you’re still required to finish out your contract.